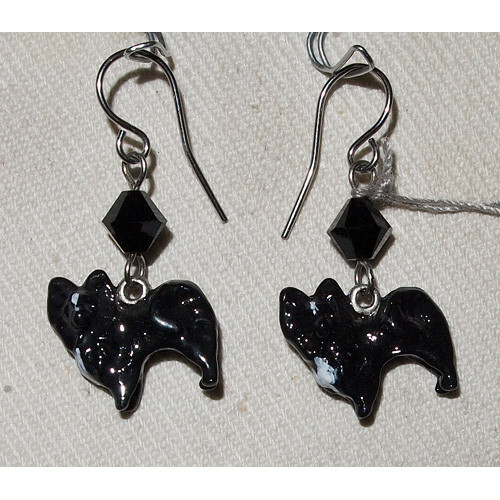 Order handpainted Chihuahua Long-Haired Earrings from Unicorn Design, made of pewter with surgical steel earwire. Earrings with handpainted silver oxidized pewter charms in the shape of Long-Haired Chihuahua painted black with white signs. Above each charm is a Swarovski crystal bicone bead in the color Jet. The length of the earring is approx. 25 mm and width 15 mm.